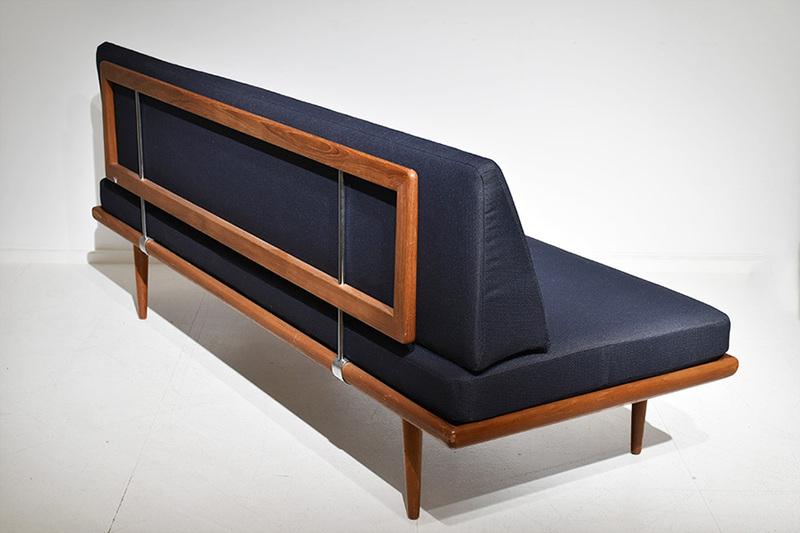 3-seater sofa with teak frame. 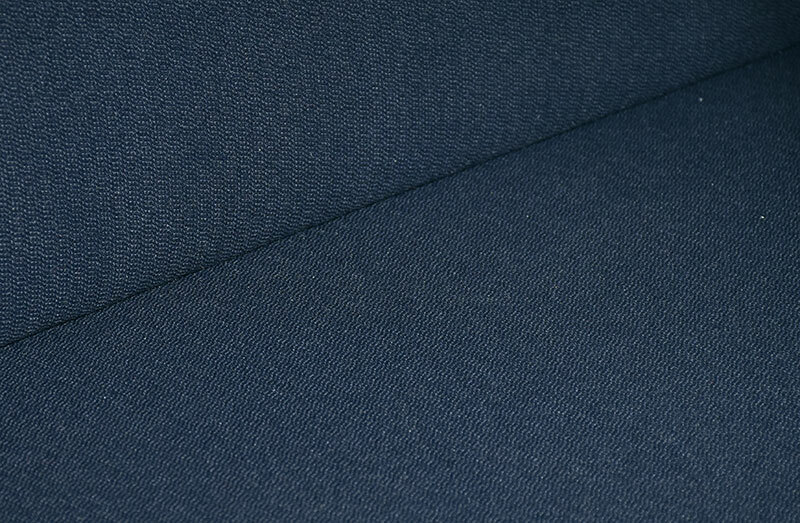 The seat and backrest cushions / mattress has been newly upholstered with anthracite grey fabric by Kvadrat. The original mattresses are filled with original foam and springs. With manufacturer’s tag. Size 190 x 80 cm, H 76 cm, seat height ca. 42 cm. In very good condition. Visible patina on the teak wood. 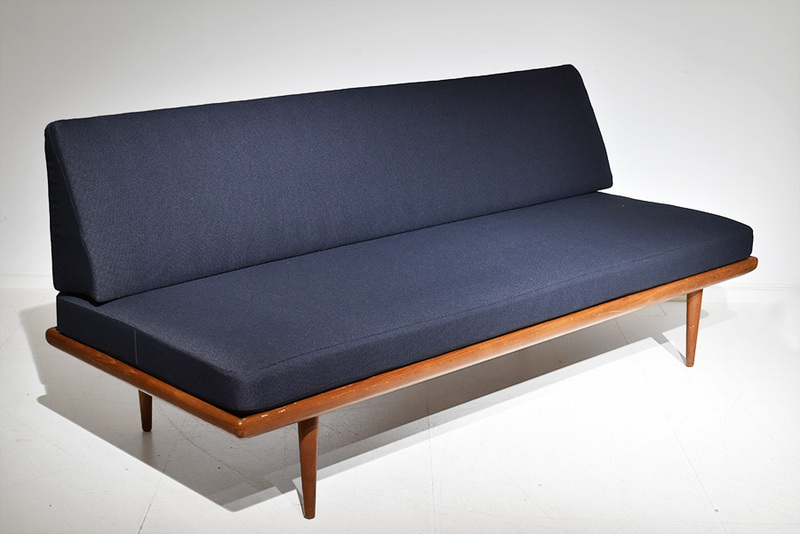 The Minerva sofa designed in the 50’s by Hvidt & Mølgaard for France & Son, is for sure one of the most popular model made by the Danish designers thanks to its modern and minimal look. 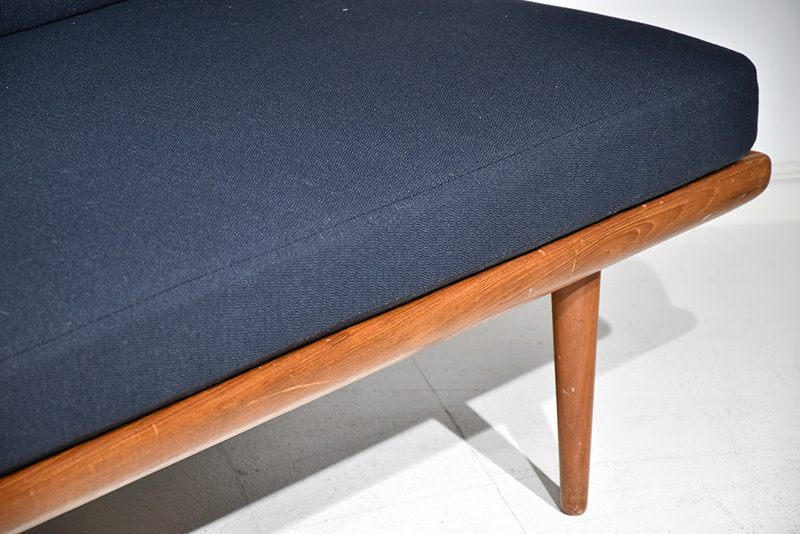 The sofa here available is has been newly upholstered with Kvadrat fabric, the filling is 100% original. 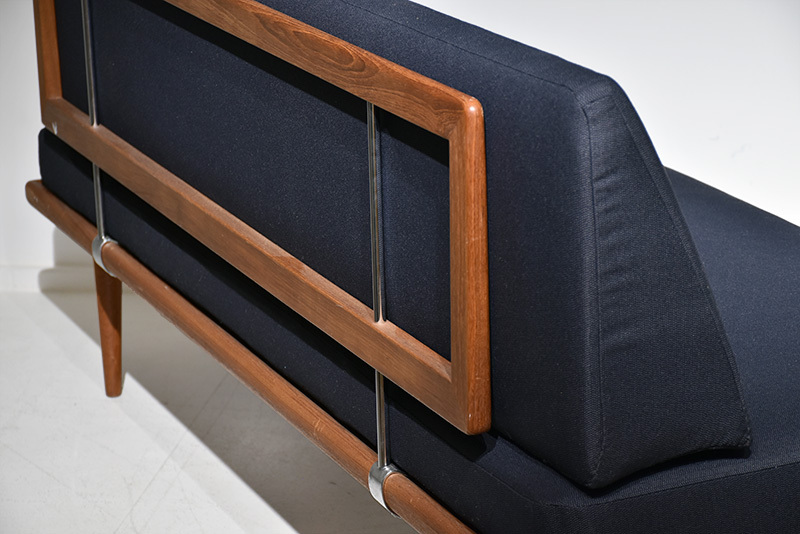 3-seater sofa with teak frame. 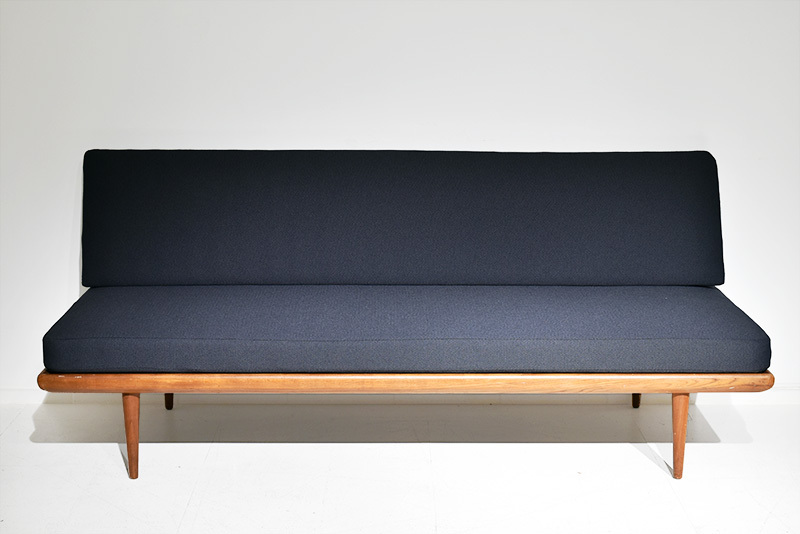 The seat and backrest cushions / mattress has been newly upholstered with anthracite grey fabric by Kvadrat. The original mattresses are filled with original foam and springs and is in great condition. 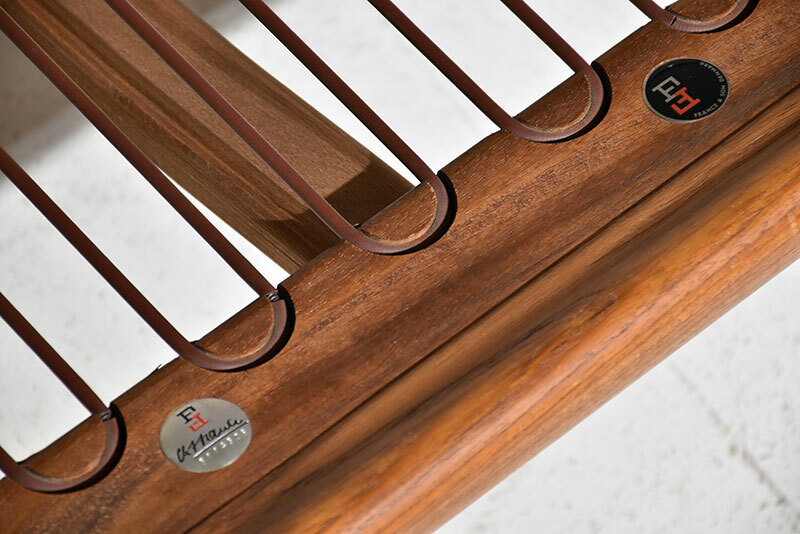 With manufacturer’s tag.